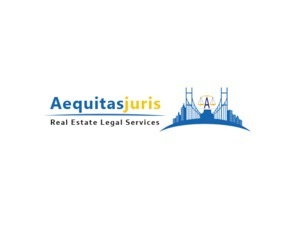 AequitasJuris real estate legal services is an Indian Origin Firm. The firm is having experienced lawyers in real estate services. With over 29 years of experience in dealing Property document verification, Legal opinion, Real estate due diligence, Mortgage loans, Landlord tenant dispute, Land or property registration etc. Aequitasjuris Real Estate Legal Services attorneys will accurately and thoroughly assess your case. Our Firm believes in serving our clients with the most care, skill and professionalism. Our lawyers represented his clients in all branches of law including Real Estate involving huge stakes, Corporate and Business Laws, intellectual property and Civil laws litigation.